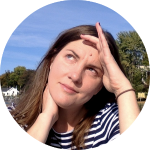 When I started blogging in 2005 I was immediately drawn to the community aspect of this fascinating new world called Blogosphere. Suddenly I could combine my love for technology with writing and meeting wonderful new people, it was the perfect digital hat trick! Even though I blog a lot less these days I am still actively engaged in various online communities and not all of them are Squarespace focused, which I think is important for my creative and emotional balance. 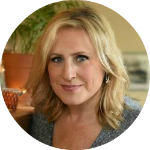 Two of my favorite non-Squarespace communities are Susannah Conway’s Inside Story and Sophy Dale’s Freedom Seekers - both are filled with wonderful entrepreneurs who care about running their businesses from a place of integrity and with a whole lot of heart. I especially love some of the beautiful projects and collaborations that I get to take part in as a result of meeting these amazing women, like Jane’s inspiring 12-months art journey. An invitation to a year of slow living and spirituality through the art of Portrait Painting. 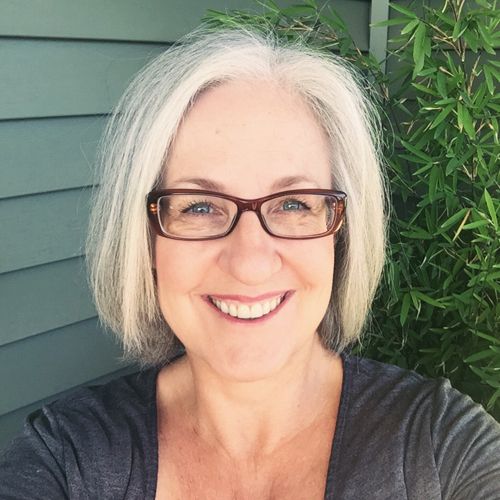 Jane Hinchcliffe is an artist and online teacher living in the UK and I first met her in Inside Story where we connected over our common desire to build intentional businesses. I love Jane’s expressive art and how she combines her creative passion with slow living and spirituality. 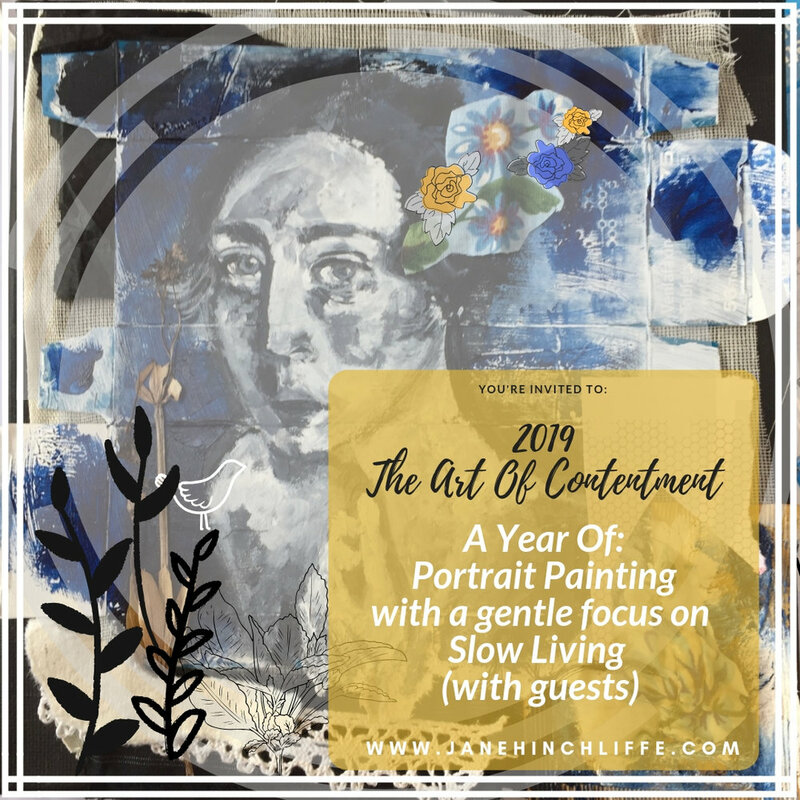 Jane kindly invited me to be a part of her year-long class called The Art of Contentment and I immediately said yes because I love what she is doing here: helping us to slow down and focus on contentment and just being through portrait painting. Let's get to know Jane first and learn a little more about the class and then I'll give you instructions on how to enter the giveaway below. To enter the giveaway, please leave a comment below. You can simply say hi but we'd especially love if you could share what brings you contentment.